DiGi Valentine is creating fictional character reviews & other content. 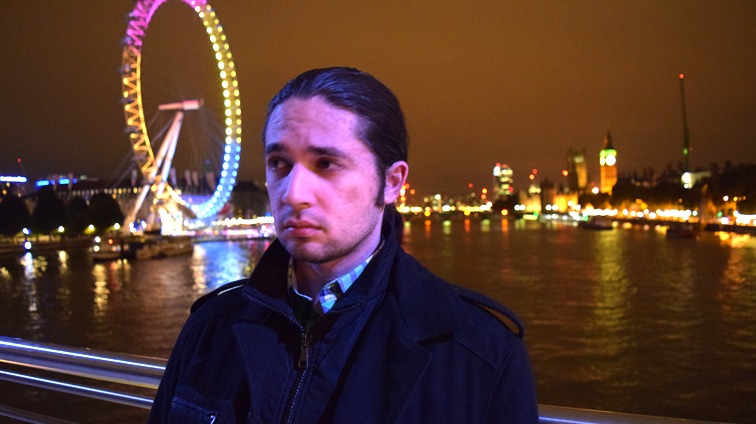 I'm DiGi Valentine, an online video content creator from North London. The topics of my videos usually fall under the video-game genre since it's the form of entertainment I find myself more strongly connected to. On some rare occasions I can dip into other areas such as cartoons and comics, but my main focus is with video-games. While I can produce a variety of different video-game orientated content for my channel, my main flagship show is the one that seems to have drawn the largest audience. That show is called Who Dat? With my Who Dat show I take one video-game character per episode and review them. Not only do I give a brief insight into the characters back story, but I then cover what I like and dislike about the characters visual design, personality and importance to their world as well as our own. It's a great little show that allows me to analyse these characters and share my thoughts on why I believe they have been presented in the ways that they have. I will occasionally throw some humour into my videos too, just to keep things light-hearted and fun. Who Dat is a demanding show though, and producing each episode does take me quite a long time, especially if I want to make sure I'm giving each episode my all. Unfortunately, things are only made more difficult for me due to a particularly large factor in my life. I love London, I truly do. It's my home and it's a wonderful city. I am proud to be from the LDN. But the cost of living here is insane. Due to family reasons, moving away to a cheaper location is not an option either. With jobs putting me back to square one I decided to try and make a career out of my passion instead. Maybe I would get lucky like others had done. Things were actually progressing fairly well for a while. I was able to balance money from part time work with the money I was earning from my content to cover bills, but then disaster struck. YouTube began demonetizing videos that they deemed unfriendly for advertisers and crippled my income. It left a bad taste in my mouth and I can't rely on the platform to help me get by. With the costs of living in London on my shoulders, knowing I've started something really good with Who Dat is heartbreaking when I have to consider the very real possibility that I might have to cancel my show to find another career. I don't want to do that. I love what I do and I want to explore every possible option before I throw in the towel. Which is why after nearly three years of trying to do this on my own I've come to Patreon. With my Patreon I aim to firstly stabilize my income. If I can reach my first goal it will allow me to fully focus on making the show without having to worry if I'll be able to pay the bills or not. Producing Who Dat as well as any other content will finally become a stable career. The goals beyond the initial goal open up more possibilities of growing the show itself, changing my restricted living and working environment to something more reasonable, as well as hiring people to help me make my content better than it is. I recognise that my goals are tall orders but they're very real, they are my life and I want to make sure I never downplay how important they are to me. I really want to give this everything I've got. I hope to build towards reaching these goals slowly over time as the show continues to grow. To help me achieve my goals I have a couple of unique and interesting reward tiers that you may find appealing, so please do check those out and see if anything takes your fancy. You can read a more detailed explanation of my goals in the Goal tab at the top left of this page. For more information on my Reward tiers head over to the right. All support will be incredibly appreciated and I thank you whole heartedly for any pledges you're able to make, regardless of the amount. This tier grants you access to the basic Patreon feed. PLUS, on occasion I might have a list of characters I'm considering to review in a future episode of Who Dat. Patrons of this tier will be able to vote in those polls and help me decide who to review. 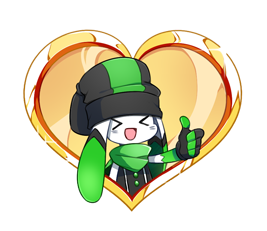 Patrons of this tier will be given access to my Discord channel where they can hang out with one another and chat with me during my free time. Other Who Dat crew members like Smai and Sir J might swing by from time to time too. Patrons of this tier will have their name immortalised in the credits for the following months Who Dat episode. Should more than one episode be produced for that month they will be credited in those videos too. Patrons of this tier get a behind the scenes look at what I'm working on, as well as the occasional vlog. PLUS, every month I'll share something from my video vault with you. You'll get to see a variety of unreleased content as well as other videos I recorded before Who Dat even existed! Get behind the scenes access to the amazing artwork of Who Dat's main artist Smai, including concept work, development sketches and unreleased pictures. PLUS, as a gift to Patrons, every month Smai will draw a fictional character in her iconic chibi style. Patrons of this tier get to suggest a character and Smai will choose which suggested character she will draw for that month. Words can not express how thankful I truly am!!!!!! Every month the insanely talented Sir J will provide Patrons of this tier with a free download to a video game song that he's ingeniously remixed. The best part? The song he remixes could be suggested by you. Once a month J will select one suggestion from the group and turn that suggestion in to a fully arranged remix. - Stability - Living in London is ridiculously expensive and due to family reasons I can't leave the city for somewhere cheaper. This goal is to match what I'm currently earning. It is below the average wage for London and it just covers my bills, utilities, as well as weekly food shopping and other expenses. It does also allow me to invest a small amount into the content I produce, but no more than I currently spend right now. With this goal reached I'll be able to focus entirely on making content full time knowing I'm financially covering myself with the basic costs.